The key to successful database development is accurate and appropriate modelling of the real-world system that will be placed on the computer. 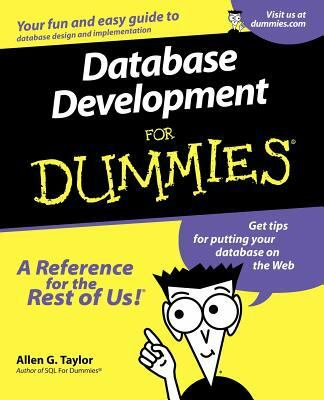 This guide describes two major modelling methods and explains how to deploy them.Taylor, Allen G. is the author of 'Database Development for Dummies' with ISBN 9780764507526 and ISBN 0764507524. Loading marketplace prices 1020 copies from $13.83 How does the rental process work?